Last year, Techzim wrote an article titled “WhatsApp IS the internet in Zimbabwe, accounts for 34% of mobile internet traffic“. It was after the local telecoms regulator in the country, POTRAZ, had provided statistics showing the apps dominance. That dominance is only increasing. This week POTRAZ released some new numbers that show that WhatsApp now accounts for 44% of all the mobile internet traffic in Zimbabwe. 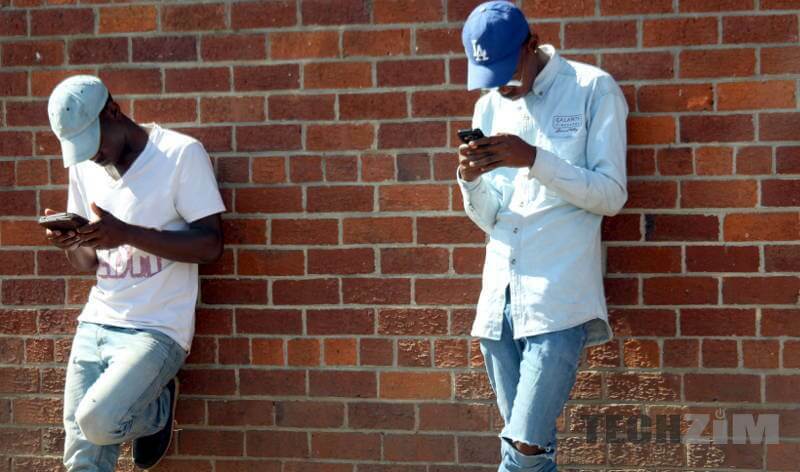 Effectively, almost half of all internet Traffic in Zimbabwe goes through WhatsApp. The next most popular individual content platform is Facebook, but it’s a distant second – it only accounts for 1.8% of the mobile internet traffic. All other content platforms (Instagram, Twitter, Google, news sites & apps) individually don’t account for much, but together form 54% of the traffic. All this is of course hardly surprising if you live in Zimbabwe. WhatsApp dominates first and foremost because it is cheaper to use. The wider internet is expensive to use; US 15 cents per megabyte in a country where the average salary is around $250 a month and unemployment is at least 80%. With real incomes dwindling further (see forex/cash crisis and failure of leadership news about Zimbabwe on Google News and the government’s hilarious-if-it-were-not-so-tragic spin on these realities) internet users limit themselves to whatever little internet they can afford, and as they shed off the wider internet, WhatsApp is what’s left. Anecdotally, I know WhatsApp is the app I use the most. And that this is the case for almost everyone I work with and the people I live with. All other apps (including my web browser) come second. Communication, important news updates, short entertaining videos, GIFs are all served on WhatsApp. In terms of keeping up to date with the important things in my life, if it’s worth knowing, someone has shared it already in a WhatsApp group I’m in. Loosely speaking, the wider internet is for finding additional information on stuff discovered first on WhatsApp. Using the wider internet for additional information is interesting because to go to the wider internet one not only needs the money to buy the expensive internet but also needs to know of and have an appetite for this internet. If they don’t, WhatsApp is their only internet. Either someone shares it on WhatsApp or they don’t get to know about it. Recently, a Zanu PF PCC meeting saw the importance of Whatsapp messaging when Jaboon read whatsapp message giving them instructions from Mashonaland West province. It reminds me of Turkey president who for years was trying to shut down social media and private news outlets. Last year, it was social media, facetime to be specific, which saved him when the gvt and government owned broadcast and tv stations were taken over by coup plotters. They failed to shutdown whatsapp and facetime because of encryption and thats what Tayyip Erdoğan used for communication from his hidding place otherwise they could have tracked him and bomb. A lesson for our government! Maybe thats why we now have a specialist ministry.